I really adore my braun coffee maker. I love the way it looks and it fits really well with the way my kitchen looks. It looks good on my counter and it takes so little space in my countertop. Another thing is I love the coffee it makes. The taste and aroma of the coffee is so good, and you can even compare it with the famous coffee shops around town. It brings great aroma every morning when I wake up and it gives me a great boos in the morning. 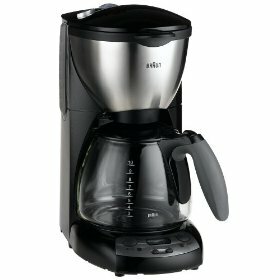 The coffee machine is so easy to operate and the instructions are very easy to follow. I love this machine.